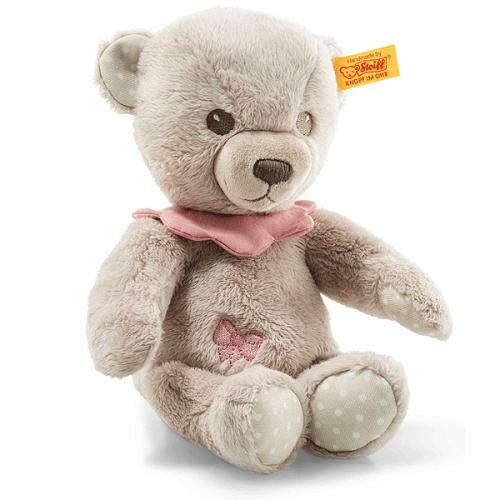 Steiff Hello Baby Lea Teddy Bear in free Gift Box is hand made in the finest grey and pink cuddly soft plush. 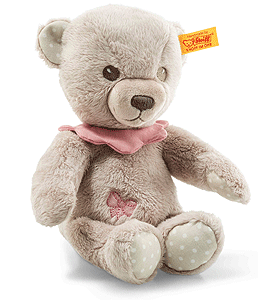 Hello Baby Lea Teddy bear in gift box is 23 cm tall and has soft grey plush fur. Her eyes, nose and mouth are embroidered. On the right side of her tummy there is an embroidered pink ribbon, matching the flower-shaped collar. Her paws are a lighter grey with small white dots, which also adorn the inside of her ears. She wouldn't be complete without her little nub of a tail. 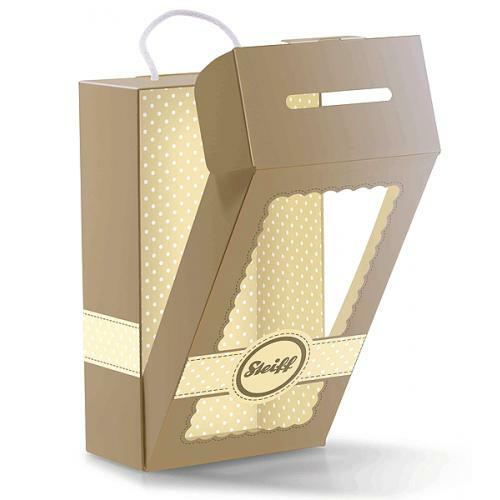 There is an elegantly designed premium gift box to match. 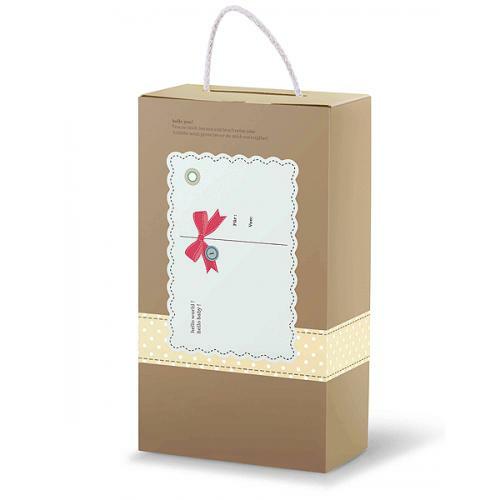 The greeting card can be removed and written on. When removed, it reveals an additional small viewing window.